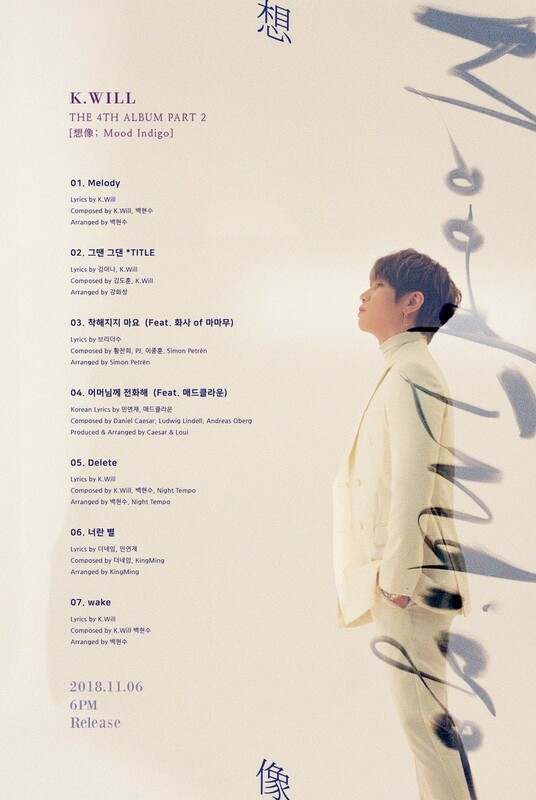 K.Will has released the official tracklist for his upcoming album 'Mood Indigo'! 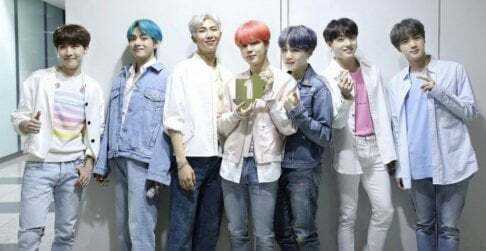 The tracklist reveals a wide variety of collaborations both as producers and featured artists. MAMAMOO's Hwa Sa appears on the track "Do Not Become Friendly (literal title)," featuring lyrics written by R&B singer Brother Su. K.Will's former Starship Entertainment labelmate Mad Clown also appears as a guest rapper on "Call Your Mother," a song composed, produced, and arranged by Canadian R&B star Daniel Caesar. Such varied collaborations only raise anticipation over what kind of sound these tracks have. Meanwhile, 'Mood Indigo' is set for release on November 6. Check out the full tracklist above, and stay tuned for more information about this new release!